The Finest Silk Thread In Production! Vibrant #100 Rod Whipping Silks in 80 Traditional & Earthy Colors. 220 Yards Per Spool. Russ, Just finished wrapping a rod with the Kimono Thread. YLI can’t begin to compare to it. I’ll be using Kimono for all my rods. 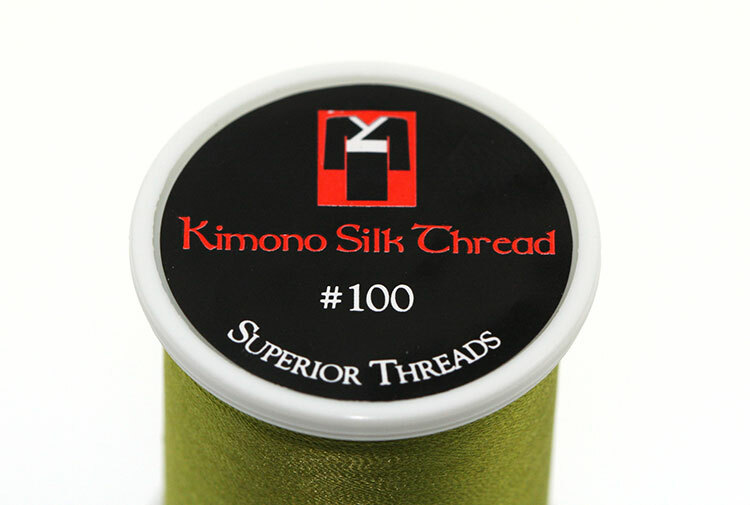 The Kimono line of silk threads puts 80 colors of delicate #100 filament silk in the rodmaker’s supply kit. These threads are vibrant, quite fine, and available in a range of colors that seems to have been created for rodmakers. I’m extremely pleased to be able to offer Kimono silks because I’m confident they will be well received and, in fact, may become our top selling line. Some of the colors in particular deserve mention. There are two shades of yellow that lean toward “antique gold” and both should be explored; #304 Golden Pavilion is a darker, bolder gold and #307 Tuscan Sun is a more muted shade of gold. If you need Chinese Red and don’t have a vintage spool on hand, try #318 Geisha. If Granger Green has gone missing from your stash, then the #353 Wasabi is close – maybe not quite spot on if you’re re-wrapping a single guide onto an otherwise original rod, but if you’re re-wrapping the entire rod or looking to make a personal reproduction, then this shade of green is well inside the ballpark. #368, Mount Fuji, is nearly indistinguishable from “java brown.” Of course the best way to see all these colors without a massive investment is to purchase the Kimono Color Cards, which are only $12.00/set.